If you are searching for ways to be more environmentally responsible while improving your quality of life, your local Los Angeles eco tech design firm may be an ideal solution. It’s unique approach to eco-conscious design can enable you to have the best of both worlds, a modern design while protecting our planet for future generations to enjoy. Below you will find more information about how a Los Angeles eco tech design firm can enable you to go green and enhance your mental and physical health. What is a Los Angeles Eco Tech Design and Construction Firm? Using a building kit approach that utilizes plug-in components, Los Angeles eco tech design incorporates a hybrid design approach. It combines different building technologies and energy systems to maximize energy and spatial efficiencies that result in practical solutions. This type of Los Angeles eco friendly design also achieves substantial architectural variety and flexibility. Eco tech design explores the use of conventional building systems and materials and blends them with innovative solutions. In essence, we find new ways to combine old materials to solve new problems. We go beyond green to find solutions that enable you to live sustainably while enhancing your mental and physical health in the newly built or renovated green living or working space. 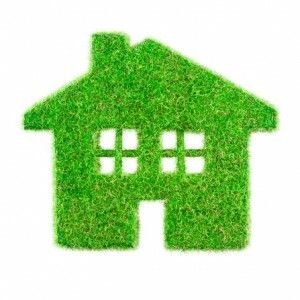 Eco friendly design gives you the power to reduce your impact upon the environment while improving your quality of life. For those with chemical sensitivities, eco tech design can eliminate the chemicals that are found within your living space by using toxic-free building and design materials, which will significantly reduce allergic reactions that are caused by these triggers. Eco tech design can also limit your carbon footprint and reduce the emissions that your lifestyle produces. Given the current state of our environment, many of us are trying to find ways in which we can heal the earth and limit our impact upon it, while still enjoying the modern conveniences that are available to us today, and eco tech design makes this possible. Busch Design Build is a Malibu based global design firm that has been providing architectural and landscape design services for the past two decades, as well as eco tech design and construction. If you would like to learn more about our sustainable design services or about eco tech please click here.